The historic handback of traditional lands to the Yanyuwa people, along with the support of the MRM Community Benefits Trust, has secured the future of the li-Anthawirriyarra sea rangers. More than 200 hectares of land on the western banks of the McArthur River was handed back to the Yanyuwa people b at a ceremony at Black Rock landing in 2015. 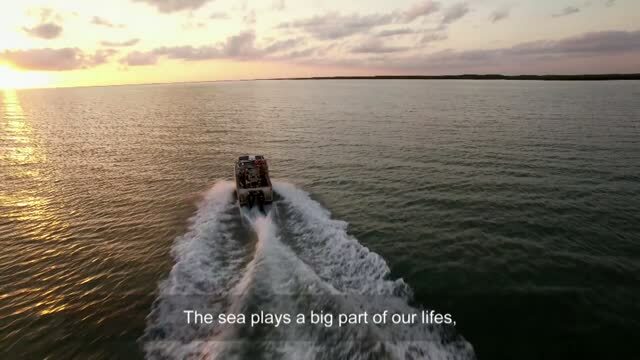 With the land now back in Yanyuwa hands, traditional owners have leased a portion of the land to the li-Anthawirriyarra sea rangers, giving them security of tenure. The ranger group has established a base at Black Rock landing at Batten Point with $227,000 support from the MRM Community Benefits Trust. The group plans to build a new ranger station and camping facilities for recreational fishermen. Rangers would also be stationed on Centre Island. Fees will bring income to the rangers, helping them to create a sustainable future. The Trust has provided a range of grants to the li-Anthawirriyarra sea rangers over the years including $214,380 for a new ocean-going vessel and funding for vehicles to carry out their important work and support for the successful Turtle Camps. MRM General Manager Sam Strohmayr, who attended the event as a guest of the Yanyuwa people, said the ranger group demonstrated the importance of supporting local organisations to develop their economic potential. “The MRM Community Benefits Trust is proud to be able to support ventures such as this,” Sam said. MRM General Manager with Sea Ranger representatives at the handback of Yanyuwa land at Black Rock.